From cedar to composite, vinyl to metal… you choose the material and style and we make your dreams become reality. We personally hand select all materials needed for your project focusing on quality, color, texture and shape. 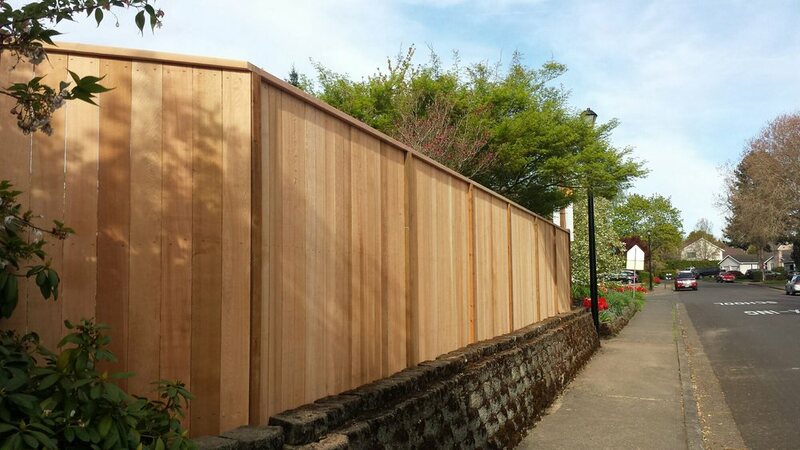 Our standard fence is equivalent to other builders’ premium fence and includes pressure treated 4×4 posts, galvanized brackets, exterior grade screws and superior clear cedar boards. We even take the extra time to form post hole concrete so that water runs away from the post to significantly increase its lifespan. All our decks are built on stable poured concrete footings rather than pre-made pier blocks like those used by other deck builders and joists are set 16 inches on center for increased stability. At Dave’s decks and fencing we believe in providing the highest quality product at the best possible price. We know a fence or deck is a serious investment in your home and we want to ensure you get the most value for your money. 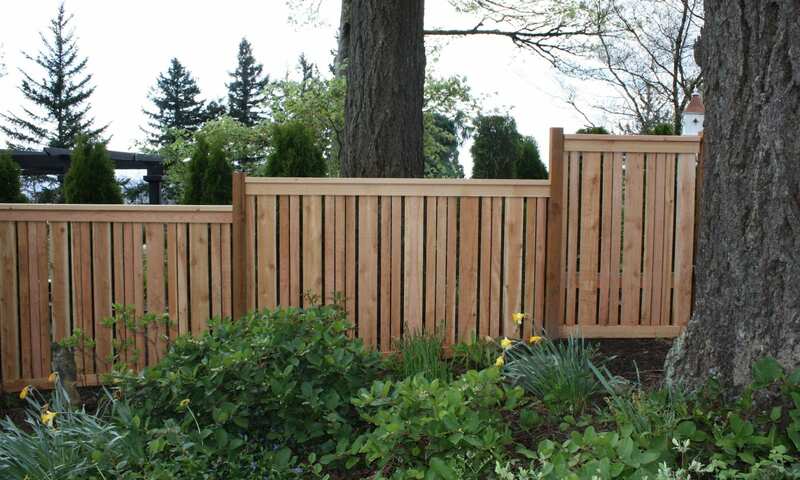 We are a local Hillsboro based family owned deck and fence company, we don’t have a fancy retail store and multiple locations so our overhead is low and we can pass the savings on to you. We don’t cut corners but we always try to cut cost and are happy to work with you to find the most affordable options. Dave has over 20 years’ experience building high quality fences, decks and gates of all sizes and nearly every style and configuration. Dave knows what works and has developed construction processes and installation techniques to ensure your project will perform at the highest level and stand the test of time. Dave personally oversees every project and has assembled a small crew of professional employees that take their work seriously and share his passion for quality. Dave is always happy to offer expert advice on available materials and design options to help you plan your project so that it exceeds your expectations. When we remove your old fence, deck or gate, all material is taken to a local recycling center. Whether it is wood, concrete, or metal, we strive to be responsible and keep as much material out of landfills as possible. We also offer composite materials and can source sustainably harvested lumber if you choose to further reduce the environmental impact of your project. A new fence or deck helps define your property line, keeps in pets and provides outdoor living space, it’s a good investment and one of the easiest things you can do to increase the value of your home. The projects Dave builds are not only beautiful and functional, they are designed to last and built with quality materials proven to hold up in our harsh Northwest environment. Whether it’s decks, fences or gates in composite, vinyl, metal, chain link or traditional wood, Dave has a solution to fit your needs and budget. Dave is not your typical deck and fence contractor, he shows up on time, works professionally, stays on schedule and cleans up after the project leaving your yard as clean or cleaner than when he arrived. Daves’s Decks and Fencing Inc.
Dave was great to work with. Very personable and professional. Once we had all the details worked out, him and his crew showed up on the date and time stated, got to work, and got it done in less than 3 days. They were great to work with. What a great experience having Dave and his crew build our fence. Dave is a great guy!! He is super honest and his crew are hard working and really pleasant to work with. If you need a quality fence or deck look no further. Had Dave put in a few hundred feet of fence (part 6-foot chain link, part 5-foot wood framed wire) to keep our dogs in the yard. The area was on a moderately steep slope, heavily vegetated, and not maintained. They did a great job with the fence, went above and beyond what they said they would do (cut down some tree stumps that were in the way, moved large wood rounds from a tree we took down in late fall). Communication was great, wish we needed more fence so we could use them again. Great service! I had an emergency situation as an old fence fell over. Dave was able to squeeze us in quickly. He was very easy to communicate with and job was done quickly and professionally. Would recommend to anyone looking for new fence. Dave and Team did a great job removing and installing our fence. The workmanship and materials are both excellent. Hello all! I purchased a home in August of this year and needed 150'+ of chain link fence installed because we have three dogs. I called several companies in the area but all of them seemed to be bothered with my dilemma, all but one... Dave's Decks and Fencing. I tried my best to accurately describes the property over the phone because we didn't have access to the property until the day we were scheduled to move in. He was very understanding and worked with the me. He was able to do add-ons on site and was very patient. Thank you very much Dave! My fence looks great and I have three very happy dogs! Fantastic work! We hired Dave's Deck and Fencing after getting several estimates from various competitors about a year ago. We had a good neighbor fence installed as part of a larger multi-neighbor project. We were so happy with the work, we had them come back this year and finish all of our fencing, replace the gates and build a deck. All of the work is BEAUTIFUL. We made some changes on the fly and we discussed costs, etc. on the spot and got everything exactly how we wanted. I HIGHLY recommend Dave's for any fencing/decking that you need. Very easy to work with and amazing results!